Covering life in Britain from the 1940’s to the 1960’s, the chosen imagery reflects life from this period in a memorable and positive way. 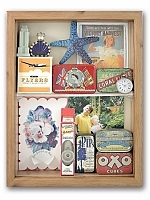 This series of low cost and high quality reminiscence material has been developed specifically to support the process of reminiscence and to allow people living with dementia to recall positive memories. They have been designed with help from care home dementia specialists and local dementia champions. We believe they provide a highly useful tool for both relatives and carers to aid effective, person-centred care. The Decades poster set features colourful images from past decades. Including glamorous movie stars, people, places and events that were a part of our lives in the last forty years of life in Britain. 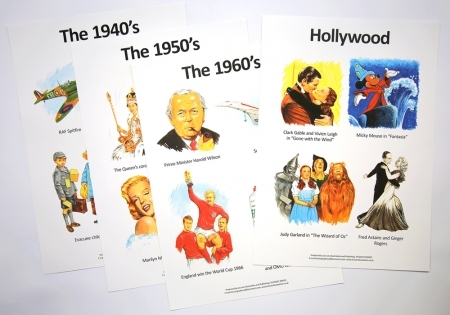 The fully laminated posters will make a colourful addition to care home memory lanes and quiz activities.